It is that point of the season once more. 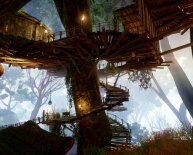 Everyone is ranking their particular favourite games of the season or their particular most expected games of next year, however for Bioware fans — using last of Dragon Age Inquisition's DLC hitting theaters this year — there is one number that matters: a definitive ranking of most 51* friends from the Mass Effect and Dragon Age games. 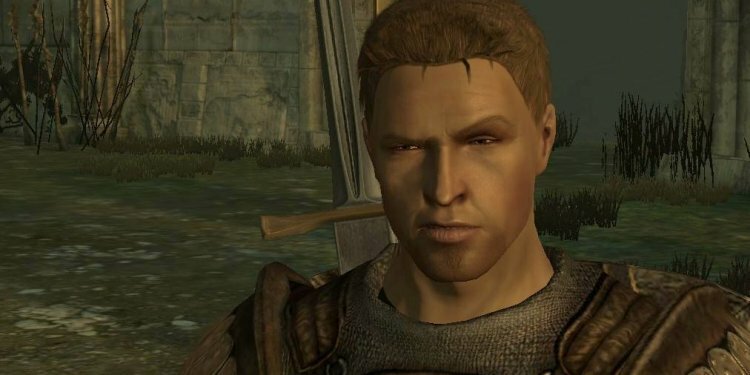 Anders' awful characterisation in Dragon Age II was just made worse because of the fact that he had been genuinely likeable and interesting inside the very first look in Awakening. There was nothing into the DA2 personality that resembled usually the one from Origins' DLC anyway, in addition to their odd feathery shoulders. They could as well are making him a dwarf and a warrior as they're at it. Anders' DA2 incarnation is oddly preachy for a person who abandoned his oath toward Grey Wardens in order to become a magical terrorist, in which he inevitably manipulates Hawke (even a romanced Hawke) into helping him produce a-bomb to destroy a location of worship. Yup. DA2 was a game title packed with odd plot decisions and contradictory characterisation, but Anders really was the crux of it. Blackwall is a lot like that creepy old uncle that appears to Christmas gatherings uninvited no one actually knows how to tell him to go out of. Identity theft apart, Blackwall just isn't interesting as a character. He's a Grey Warden fanboy without any personality, who can force himself into a romance with a female Inquisitor on first indication of flirting. What is even worse when it comes to hapless players who romance Blackwall is you will find few options to actually break-off a relationship with him. Before very long he'll be requesting to settle down and also children with him, because he is just an exciting personality like that. Fun fact: we killed Leliana in Origins. She only keeps returning. Terrible accent apart, Leliana sits halfway between naïve chantry sibling and ruthless cutthroat spy and do not rather works for either one. In Origins as a companion she's in need of your approval, in Inquisition as an advisor she is even more painfully grimdark than Christian Bale's Batman. I just want she would leave myself alone. I am the first to ever admit that Solas is clearly the better characters in Inquisition. Which, if you play as a Lavellan. Solas's huge flaw is the fact that the best elements of his personality only come through if you are an elf and, essentially, women. That and he's an insufferable know-it-all during the most useful of times. Ashley suffers within my ranks primarily because she never ever in fact survived at night very first online game, but I never ever had reason to save lots of this lady often. Ashley is a xenophobic individual in a casino game where, let us face it, the aliens tend to be the most interesting part. Taking her in your squad just seems like a poor idea. Liara is suffering from equivalent dilemmas as Leliana. She is supposedly a naïve 'young' Asari whose whole knowledge of the galaxy is strictly educational. After which she out of the blue becomes probably the most powerful underworld numbers in Mass result world, detailed with cutthroat impulse and a sense of freedom that is mainly missing in the 1st game. Does that make good sense to others? Zaeed experienced being a DLC personality, but there to be realn't much character truth be told there to start with. He is like an amalgamation of most 'Nam vet stereotypes previously, so when you take into account what Shepard's been through, it might take a lot more than their tales to actually be impressive. What makes you even yet in this game? For very first hour of Mass result 2 I happened to be underneath the impression that Jacob ended up being a temporary companion who does quickly perish off to be changed by an even more interesting squadmate. Nope, ends up the least interesting character within the game is in fact right here to remain.